The Intellectual Property Office supports innovation by granting intellectual property rights. This is property that originates in the mind as an idea, such as a design of a car, a piece of computer software or the words and music of a pop song. Businesses take steps to protect their physical property, such as equipment, raw materials and buildings, but it is just as important that they protect their intellectual property. • Products sold through iTunes are also protected under copyright. The writers of each song usually own these rights. Talking about Apple: There is saying – An apple a day keeps the doctor, but I phone maker Apple can’t keep issues away. Apple has been always in news, may it be launching of its any product or it may be an issue of copyright cases or the numbers of I phone 5 booked before launching. Recently battle of Apple shifted from its competitors to Swiss Federal Railway. Though it was minor kerfuffle of using iconic clock face which is having its presence on Swiss railway platform in their new iOS but this minor issue made apple to pay $21 million to Swiss railway for the unauthorized use of clock design. The clock-face was designed in 1944 by Swiss engineer Hans Hilfiker and is still used in stations across the country, as well as being licensed as an icon of the railway’s famous punctuality. Real craftsmanship and creativity does have high tags to be paid for. 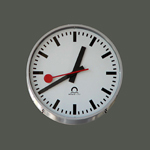 And that is what an example of Apple and Clock face of Swiss railway. Any person who appreciates beautiful and understated design will understand the craftsmanship and dedication that goes into producing a unique, one of a kind timepiece and will understand the price tag associated with classic watches. This isn’t the first time Apple has used an iconic design for an iOS app. The original iOS calculator used a design that paid homage to the classic Braun ET44 calculator. Apple SVP of Industrial Design Jonathan Ive is well-known as an unabashed fan of Braun designer Dieter Rams. This is really not expected from the Apple which is particularly famous for protecting intellectual property. 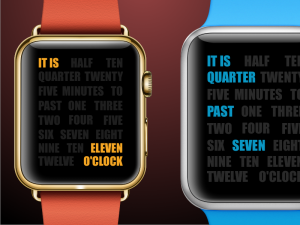 Copying a small thing like clock face is something which is like screwing themselves. Ha Ha. Now even Apple get caught copying others.